We are in the process of shifting our reality. 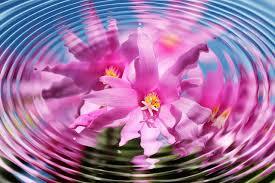 We say “we” for all dimensions, realities and worlds are shifting into a higher frequency of expression. As it is for the least, it is for the greatest. Hence, as the third/fourth dimension releases itself from the shackles of the third dimensional reality of illusion and shifts into the fifth dimension of the Light of Cosmic Truth, all the dimensions above the fifth also shift into their next higher dimensional expression. As we make this transition, there is a release, a letting go, of what has been our predominant expression of Self. For example, we Arcturians are expanding our baseline frequency from the eighth through tenth dimensions into the eleventh and twelfth dimensions. In the same manner, your human baseline frequency will shift form the third/fourth dimension into the fifth dimension, which was once your higher expression of SELF. In the case of Earth, the third/fourth dimensions will gradually become less and less inhabitable. You will find that just as it once took effort to consciously experience the fifth dimension, it will become increasingly difficult to consciously experience the third/fourth dimension. Even now, your consciousness may appear to be wandering off into what appears to be a trancelike state. This trancelike state feels so natural that you do not want to leave it. Once your Multidimensional SELF is in charge, you will be able to make some important decisions that make YOU the creator of your life. You will also become aware of many of your higher dimensional, alternate or parallel realities. While you are swimming in the illusion of the third dimension, you see only what surrounds you. However, as you regain a higher perspective of your life, many of your priorities will change. Your ego will no longer tell you to let go of your meditations and creative expression so that you can “get back to the business of your real life”. With your Higher SELF at the helm, you will realize that what you have perceived as “just your imagination” is actually your real life. Then slowly, or quickly, you will want to “let go” of many of our your lower frequency chores, responsibilities and jobs. In this manner, you can more easily remain in the Unconditional Light and Love of the fifth dimension. Of course you will still “take care of 3D business,” but your priorities will greatly alter as your consciousness expands into the higher dimensions. When you meditate or dream about being in a higher frequency reality, are you able to wake up or end your meditation? 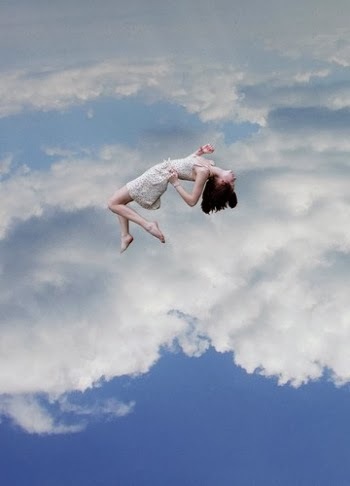 Of course, your physical reality does not disappear while you sleep or meditate, nor will it go away when your switch your primary identity from being your 3D physical self to being your 5D Lightbody SELF. When you volunteered to enter your Earth vessel, the physical world became your primary expression of SELF. While you are still draped within your Earth vessel, you are inclined to believe that you only have the choice of one primary expression. As you increasingly experience your Multidimensional consciousness while you also perceive the third dimensional world, you may believe that you must choose a “primary reality”. This belief occurs because even though you are having a Multidimensional experience, you are thinking in a third dimensional way. Once you take more and more excursions into your fifth dimensional consciousness, you will begin to also think Multidimensionally. Thus, the either/or choices that filled your 3D world are replaced by the realization that you can choose both and/or all.” It is then that you are beginning to understand the concept of Multidimensional reality from a higher perspective. Due to your evolved understanding of your Multidimensional SELF, you are remembering that you no longer need to choose. From the perspective of your fifth dimensional SELF, you know that you have myriad expressions of your SELF that are simultaneously being experienced on myriad dimensions and realities. The difficult adaptation is for your fifth dimensional SELF to convince your third dimensional self to “Let GO” of the illusions of time and space. Your third dimensional expression is afraid to release that illusion because you unconsciously remember that that form of “letting go” meant death in many of your third dimensional incarnations. It is very difficult to break the 3D indoctrinations of “one life per person” and “one life at a time”. These rules further state that if you live a good life you go to Heaven, but if you live a bad life you go to Hell. The problem with good vs. bad is that the definition for good and bad are different according to your third dimensional indoctrination. Because of the vast programming that many humans have received, as well as the fact that many of Gaia’s humans live on the edge of survival, the bulk of the process of shifting into higher frequencies of consciousness falls on the shoulders of the awakened Lightworkers. We wish to thank you, dear Lightworkers, for your great courage and endurance. We are coming into your awareness to tell you that, “It is the NOW for those of you who have united with your Multidimensional SELF to unite with each other“. Any BELIEF that you are limited to your 3D expression traps you in illusion. Fortunately, once you can conceive that you are Multidimensional, you will begin to realize that you do not need to leave one reality in order to experience another reality. In fact, you all have the ability to experience your third, fourth and fifth dimensional realities within the NOW of your Multidimensional consciousness. By tuning into the “NOW of the ONE” you can make an honest assessment of your state of consciousness by observing your thoughts, emotions and actions from your newly discovered higher perspective. In order for you to choose to return to full awareness of your Multidimensional SELF, you will need to be CONSCIOUS observers of your life. First you must know yourself before you can change yourself. In order for you, the volunteers who bi-located into an Earth vessel to assist Gaia, to be fully aware of your Multidimensional SELF, you will need to be CONSCIOUS observers of your life. As you regain an ongoing interaction with your higher expressions of SELF, you remember that this “higher guidance” is a higher expression of your own Multidimensional SELF. Through a constant communication with your SELF you will remember the “mission” that you decided to accept before entering your Earth vessel. Most important, as you allow your higher expressions of Multidimensional SELF to merge with and lead you, you are being prepared to be a Multidimensional Leader of others. You may begin as one person, but as you merge with the many within you, you will be able to merge with the many who are beginning to remember their mission as well. Then 1 becomes 2 and 2 becomes 4, which becomes 8, 16, 32, 64 and so on into infinity. You are awaking to your Multidimensional SELF and the reason why you chose to enter a third dimensional Earth vessel. We know the great loneliness you have suffered and the deep yearning for… for what, for something or someone that is missing. That something that you miss is the mission that you chose to complete, and that someone you are missing is YOU – as your true Multidimensional SELF. Every ONE of you is an important component of Gaia’s planetary Ascension. 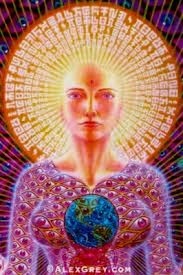 Every ONE of you has volunteered to assist Gaia with Her Ascension. As the reward for your efforts, you will become a Multidimensional Leader who joins with Gaia as she transmutes her physical reality into a Multidimensional world of Multidimensional Light and Unconditional Love.